The Cyanogen OS version 13.1 update is now out for relevant devices and it brings a unique feature along with it, called "Mods." This is not exactly a single feature, but an integration of multiple features from different external apps, built right into the Cyanogen OS itself. In order to understand what we are talking about here, consider the following example. Since it is a part of the Operating System's in-built Phone application, your Skype contacts can now be found in your smartphone's contacts by default, just like all the other contacts. You can place a Skype voice/video call directly from there. Other popular third-party applications integrated in the OS are; Twitter in the lock screen, OneNote in the E-mail app and Hyperlapse in the camera. 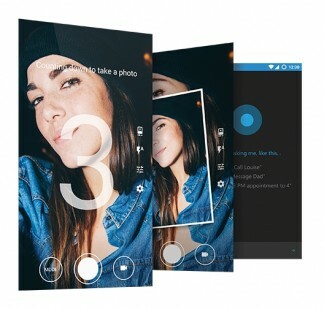 You can also instruct Cortana, Microsoft's virtual assistant, to take a selfie by simply saying, "take a selfie!" If you found these features to be interesting then there's much more waiting for you once you actually start using the new OS. As of now, it is only available for the OnePlus One, but YU and Zuk devices are also sure to start receiving the upgrade any day now. ***Cyanogen OS is different from CyanogenMod OS and this news is in relation to the former, as stated throughout the article.